Empowering each other in business and in life! Meeting - Budgets and forecasts and cash flows - OH MY! Our members share what's happening around town! Scroll the list to find something interesting. Items are ordered by date noted. This workshop is for anyone who has a dog that needs help relaxing. Whether your dog is prone to reactivity or anxiety; or is just one of those Teenage Terrors who can't find the Off switch, this workshop can help you and your dog. Taught at Cold Nose Companions by Pamela Ginther Perry, Canine Massage Practitioner and Reiki Master, you will learn the basics of Canine Massage. Your dog does NOT come to this workshop. Bring a stuffed animal about the size of your dog. Attendance is limited to 10 people. Cost is $30 per person. Register here. They are members of our family, our best friends, and lifelong companions. You would do anything to help them. The 8-hour Pet First Aid and CPR Training will give you the confidence to know you are prepared to act in the event of an emergency. Register now for this comprehensive pet first aid certificate course and be ready. It will be held on Sunday, April 7 from 9:00 to 6:00 at Cold Nose Companions. Cost is $125. Your pet does not come with you to this class. Register here. We have limited space available in the class on Saturday, April 6. Register here. Change the financial health of your business with the very next deposit! March 30, 2019 from 9 a.m. to 4 p.m. This workshop follows the "pay yourself first" cash management system based on the book Profit First, by Mike Michalowicz. This system teaches you how to take your profit first, and then spend only what remains on expenses. This one change will transform your business into a profitable cash cow. When you take the time to understand the symptoms and the causes of your cash struggles, it makes it easy and simple to put the Profit First system into action. Register Now! Seating is very limited! The Chagrin Natural Health Clinic is looking for someone! It could be YOU or someone you know?! See this link! What challenges do you face as a woman in business? 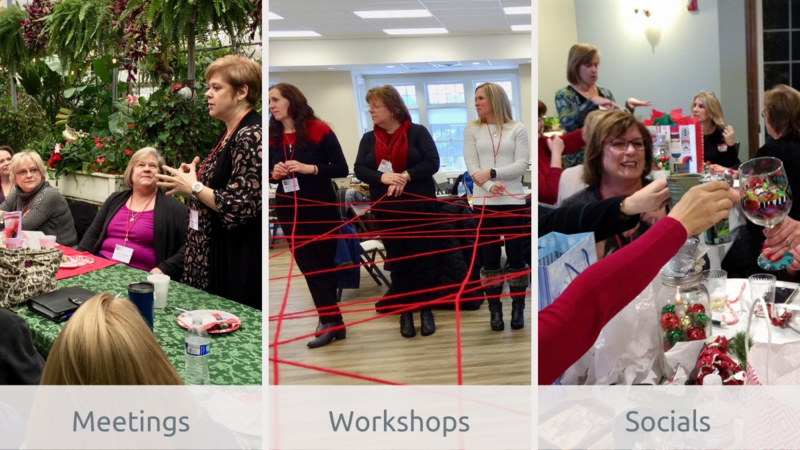 Red Key Network is a community of sharing, caring women who support each other. We share knowledge and expertise, teach others our skills and lend a hand when it's needed. No matter where you are in your business career, you have something to contribute and can benefit from the gifts that others share. We are connected by a passion for our community. Attend one of our meetings, workshops or socials and feel the passion for yourself. You, too will want to be a part of this wonderful group of women.